The roping club will continue to practice Tuesday nights at 7 pm. 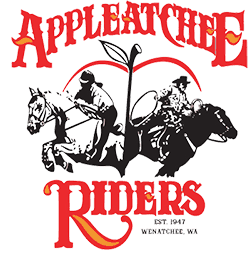 Check for updates on the Appleatchee Ropers Facebook page. The fee is only $10 for members and $15 for non- members to practice. We would like to encourage all that are interested in exposing their horses to cattle, please to come join us. 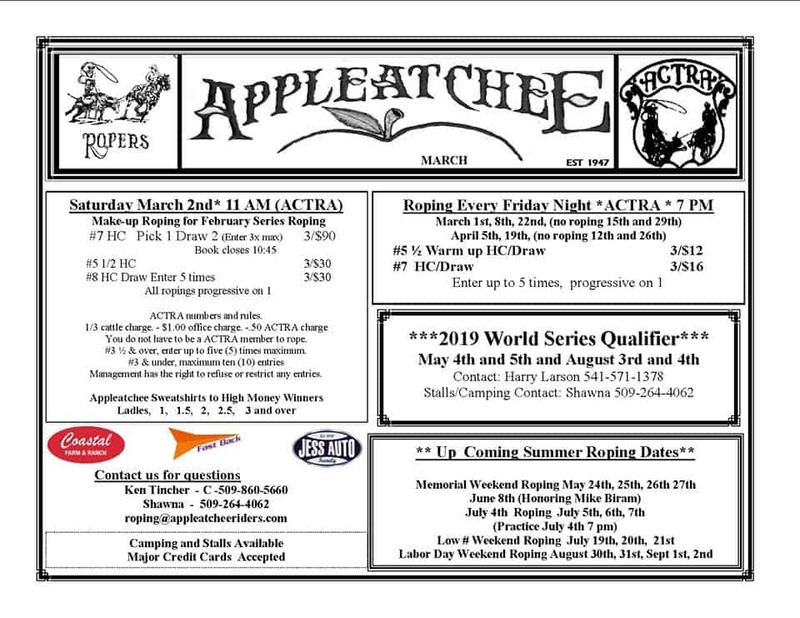 Any roping events sponsored by Appleatchee Riders Roping Division will use the Appleatchee Roping Division numbering system and rules. There is a .50 cent Appleatchee Roping Division charge per entry. 1/3 cattle charge. $1.00 office charge. Memberships will be available at these ropings. #4 1/2 and over may enter five (5) times maximum. Management reserves the right to refuse or restrict any entries. ACTRA sponsored events are ACTRA numbers and rules. There is a .50 cent ACTRA charge per entry. 1/3 cattle charge. $1.00 office charge. Membership will be available at these ropings. #3 1/2 and over may enter five (5) times maximum.